The most track-focused entry in the McLaren Sport Series range. 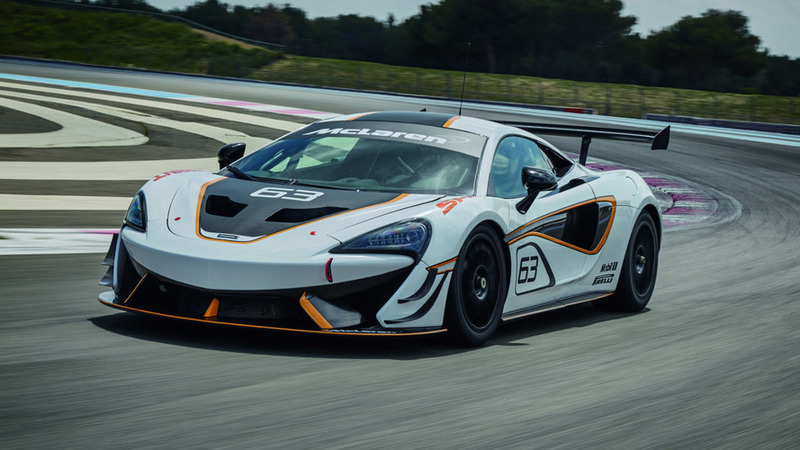 Ahead of its public debut at the Goodwood Festival of Speed, McLaren has introduced the new 570S Sprint. As earlier teasers suggested, the Sprint is a track-focused version of the McLaren 570S. Because the Sprint wasn’t designed to meet any specific racing series rules, McLaren says it was able to have free rein over the car’s design. It uses the same carbon-fiber composite tub as other McLaren Sports Series models (540C, 570S, 570GT), as well as those cars’ 3.8-liter biturbo V8 engine and seven-speed dual-clutch transmission. But McLaren says horsepower and torque have been “optimized,” though no figures have been revealed, and that the engine is louder than in the other Sport Series cars. Other modifications from a regular McLaren 570S focus on aerodynamics, including a new nose with a functional splitter and dive planes, and a fixed carbon-fiber rear wing, which combine to give the Sprint more downforce than any other Sport Series model. Center-lock magnesium wheels wear Pirelli racing slicks, the engine is filled with race-spec 0W-40 oil, and a race-ready air jack system is offered as an option. Inside, the 570S has been stripped out, and a roll cage and fire extinguisher fitted. The driver’s seat (a passenger seat is optional) has a fixed carbon-fiber back and comes with a six-point harness. Customers can also buy an optional GT4 compliance pack for the Sprint that makes it eligible for FIA GT4 racing; McLaren also already offers a ready-to-race 570S GT4. 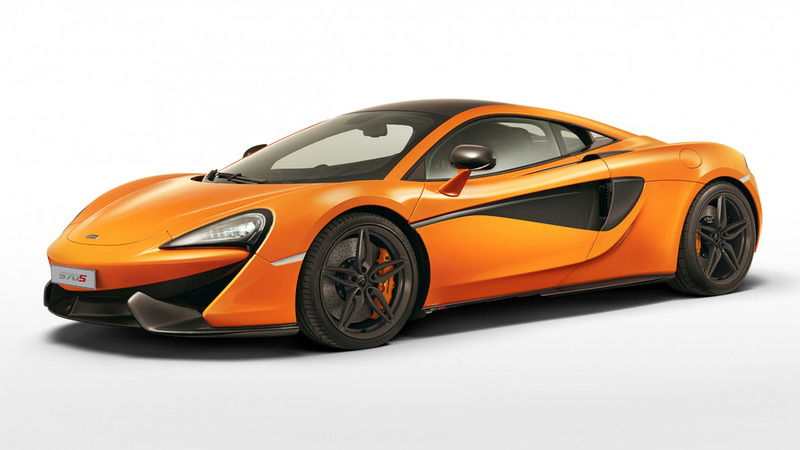 Pricing for the McLaren 570S Sprint starts at £148,000 ($218,000) before options or applicable taxes. The recently-announced McLaren 570S Sprint will make both static and dynamic global debuts at this year’s Goodwood Festival of Speed as part of the largest presence by McLaren to date. The track-only model will thrill crowds on the famous Hill run and be on public display in the Supercar Paddock alongside the McLaren P1™ GTR, 650S Can-Am, 570S Coupé and the 675LT Coupé which only recently set the fastest ever time around the BBC Top Gear track. A second example of the 570S Sprint will be on private view for McLaren guests at its central location, adjacent to Goodwood House.